Curriculum and Coffee: #2getherwearebetter- Rooom to Improve! 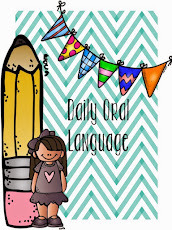 Today I am linking up with Schroeder Shenanigans to show what I need to improve in my classroom this year! While the list is long, there are a few things I would loveeeee to improve the "looks" of. I'm gonna be honest, I don't have a single picture of just my classroom. And it honestly wouldn't matter anyways, because I am moving rooms. We have had some movement with in my grade level, and a much larger classroom opened up, and you know I jumped on that. Don't get me wrong, my room wasn't that small to begin with (and I have certainly seen worse), but it was CRAMPED with a capital C with 28 kiddos, plus me, and usually two Miami University students in there. So I jumped on it! This year I would like to focus on having a less "cutesy" room, and a more practical one. There were things last year that I didn't want the kids to touch. And I thought, "this is there room too, they should be able to touch or use anything that they need to." And thus, a more practical room was born. I am ditching glass jars for galvanized steel tubs, using plastic tubs for centers/stations and creating a student command center. In the SCC I would love to have a tub for erasers, and the pencil board I use. I would also like to have extra scissors, glue sticks, stapler, paper clips, crayons, highlighters, index cards, post its, and anything else that the kids should be able to grab on their own. 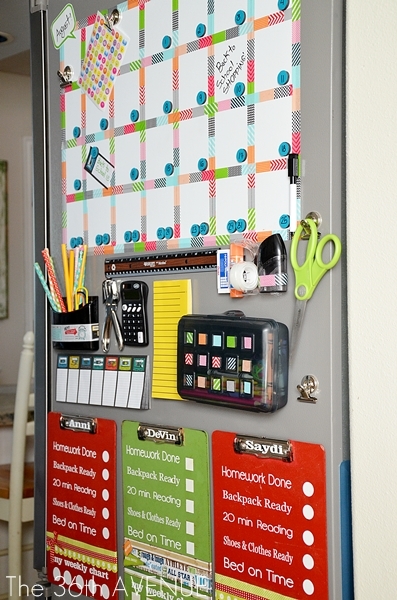 I also want the kiddos to have an organized way to turn in papers, and easily find incomplete center work. Speaking of which, how to you manage incomplete station work? Ugh! Here are a couple pictures I am using for inspiration! What are you working on over the summer? 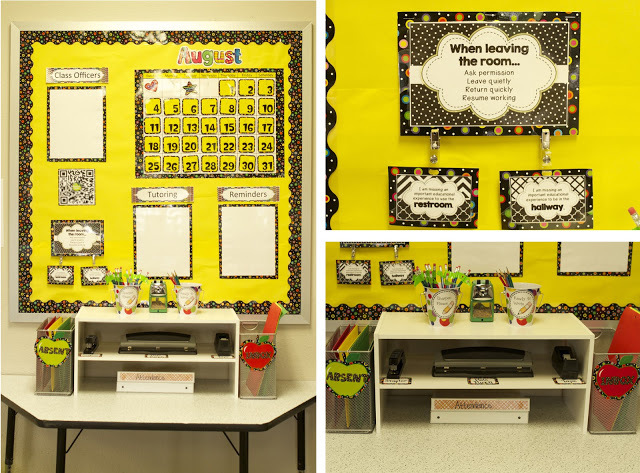 How do you want to improve your classroom? Link up with Schroeder Shenanigans!